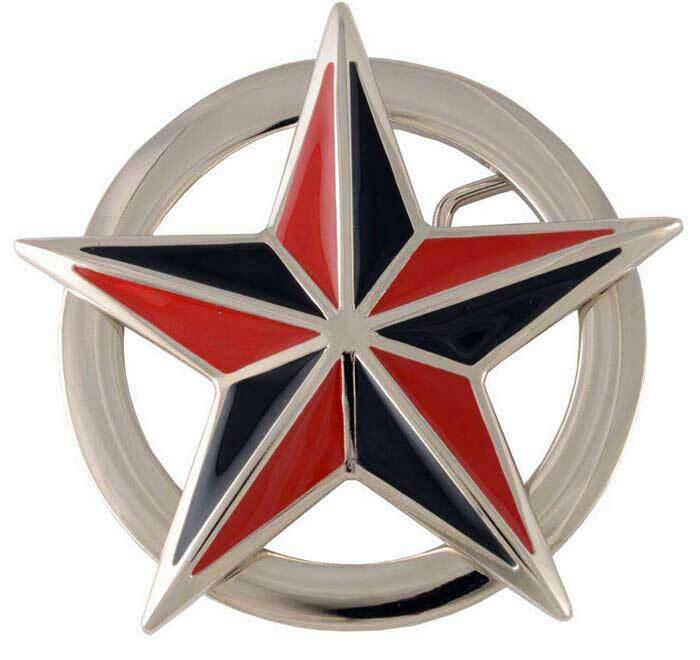 Black and red nautical star belt buckle. 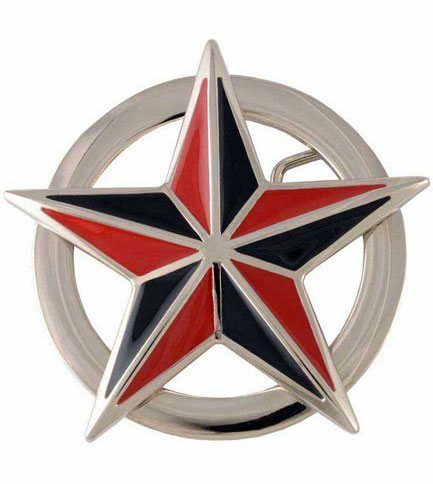 3.25 inches in diameter with nickel outline. Product is made of heavy grade materials with a nice heft. Construction is good. Inlaid enamel color is accurate to picture. The swivel that connects the buckle to the belt has a more vertical slide in it than I would prefer, but it certainly is acceptable. Good product as advertised. I would buy it again.